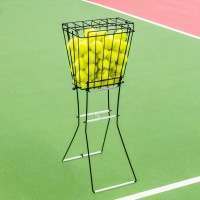 These 76mm powder-coated steel tennis posts bring professional quality to any tennis court they grace. 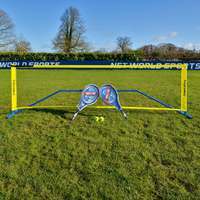 The ultra-durable posts have featured at world-renowned venues including Flushing Meadows. 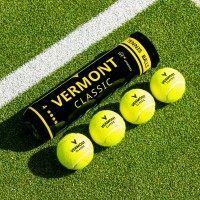 Expertly manufactured to ITF Regulations, these Vermont Square Tennis Posts can be used at the highest level of tournament tennis. Their Wimbledon Green paint coating provides them with a stylish finish. 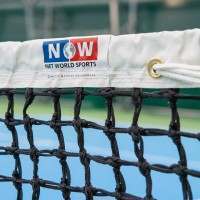 As well as high-quality tennis posts, you’ll also receive a premium-grade brass winder mechanism to ensure your tennis net is correctly tensioned every time you step foot onto your tennis court. 100% rust-resistant. 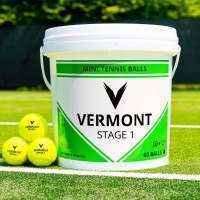 Our range of Vermont Tennis Posts bring a professional quality to any tennis court they grace. 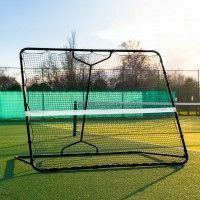 These square tennis posts have had their high-class design modelled on the traditional English tennis post, guaranteeing a Grand Slam performance every time. 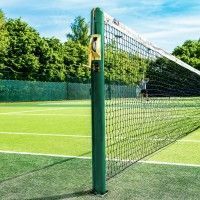 Available to buy with optional ground sockets, these tennis posts guarantee to be a part of your tennis set-up for many years to come thanks to their elite construction. 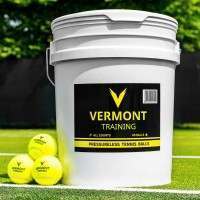 Specifically created to ITF Regulations, these tennis posts are well-suited for competitive tennis and have featured a world-class venues such as Flushing Meadows (home of the US Open). 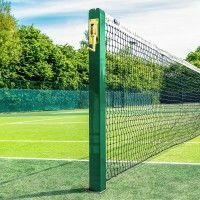 Expertly designed to deliver an elite performance on indoor & outdoor tennis courts, these square tennis posts are 100% weather-resistant. 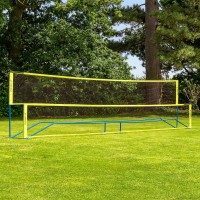 The posts, which have been manufactured using heavy-duty 76mm steel, feature a Wimbledon Green powder-coating for increased strength & durability. 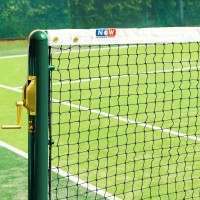 As well as the impressive tennis posts, we also provide you with a premium brass winder mechanism, which ensures your net is properly tensioned every time you play as well as giving the posts a professional finish. 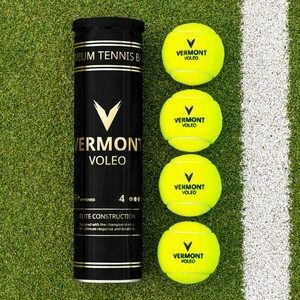 Brimming with quality associated with the top-level, these Vermont Square Tennis Posts are a must-have for tennis facilities across the world. 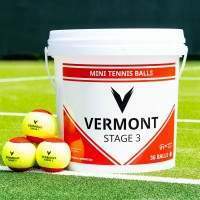 PLEASE NOTE: Our world-class Vermont Square Tennis Posts come with the option of adding ground sockets to your package. Should you require ground sockets, please select accordingly above.